On February 18, 2013, the Supreme Judicial Court issued a decision in Commonwealth v. Augustine. In the decision, the court ruled that the Commonwealth must obtain a warrant supported by probable cause before getting cell site location information (CSLI) associated with a particular cellular telephone from cellular telephone providers. CSLI records include information about a subscriber’s location when using the cellular telephone, and therefore can be used to reconstruct the subscriber’s movements and location over time. The underlying facts of the case are as follows: The victim was murdered in 2004. During the course of the criminal investigation, the police began to focus on Augustine, who had previously dated the victim. As part of the investigation, the police sought certain records from Augustine’s cellular phone provider (Sprint), including CSLI information that spanned two weeks, beginning on the date of the victim’s disappearance, August 24, 2004. The Commonwealth applied for the records under a federal statute – 18 U.S.C. § 2703 – which governs the compelled disclosure of customer communications and records to law enforcement. The statute requires that law enforcement demonstrate “specific and articulable facts showing that there are reasonable grounds to believe that the . . . records or other information sought, are relevant and material to an ongoing criminal investigation.” The Commonwealth’s application for Augustine’s records was supported by an affidavit from one of the state troopers involved in the murder investigation. The affidavit stated that the police sought the records to determine the “general location” of Augustine and the victim at the time of the victim’s disappearance, and to potentially include or exclude Augustine as a suspect in the murder. A Superior Court judge allowed the Commonwealth’s application. An order compelling the production of the records was sent to Sprint and the CSLI records were subsequently provided to the Commonwealth. Augustine was charged with the victim’s murder 7 years later, in 2011. During the course of the court case, Augustine filed a motion to suppress evidence of the CSLI on the ground he had a “reasonable expectation of privacy” in the records, and therefore the police were required to get a valid search warrant based on probable cause before obtaining the records (probable cause is a higher standard of proof than the “specific and articulable facts” required by 18 U.S.C. § 2703). A reasonable expectation of privacy exists if (1) a person subjectively expects privacy; and (2) the expectation is one that society as a whole would think is legitimate. Under both the Federal and Massachusetts Constitutions, a search in the constitutional sense occurs when the government’s conduct intrudes on a person’s reasonable expectation of privacy. Augustine argued that because he had a reasonable expectation of privacy, and because the police failed to get a warrant supported by probable cause, his constitutional rights were violated, and therefore the Commonwealth should not be able to use the CSLI records against him at trial. The Commonwealth argued that there was no search in the constitutional sense because the CSLI records were business records of Augustine’s cellular served provider and therefore Augustine did not have a reasonable expectation of privacy in them. The Superior Court agreed with Augustine, specifically concluding that his rights under article 14 of the Massachusetts Declaration of Rights were violated. The Court stated that even though the Commonwealth had obtained the CSLI from Augustine’s cellular servicer provider pursuant to a valid court order under the a federal statute, the Commonwealth’s access to the CSLI constituted a search within the meaning of article 14. Therefore, a search warrant based on probable cause was required. The Commonwealth appealed the judge’s decision, which led to the SJC’s review of the case. The SJC agreed with the motion judge. The SJC held that although the CSLI records were a business record belonging to and existing in the records of Augustine’s cellular servicer provider, Augustine had a reasonable expectation of privacy in the records that is recognized and protected by article 14. In particular, the Court noted that cellular telephones physically accompany their users everywhere. 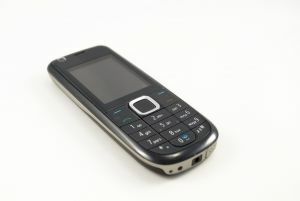 As people move, their cellular phones are constantly connecting to cellular sites and those connections are recorded as CSLI by their cellular service providers. The Court further noted that CSLI therefore has the potential to track a cellular telephone user’s location in constitutionally protected areas, including both public and private places. The Court stated that individuals have a justifiable interest in not having their comings and goings continuously monitored by the government. The Court therefore found that Augustine had a reasonable expectation of privacy in the CSLI, and under the circumstances, where the CLSI records covered a two week period of time, the government-compelled production of Augustine’s CSLI records constituted a search in the constitutional sense, to which the warrant requirement of article 14 applied. The SJC then remanded the decision to the Superior Court to give the Commonwealth an opportunity to argue that the affidavit submitted with its application for the CSLI records under 18 U.S.C. § 2703 established the requisite probable cause for the records in question. New technologies mean that there will be new and potentially successfully arguments to be raised and litigated in relation to police searches and seizures. Whether the SJC expands its decision in Augustine to other information relating to cellular telephones remains to be seen, but it is an important issue for defense attorneys to continue to monitor and to raise in their own cases. Attorney Daniel Cappetta is an experienced attorney who is dedicated to identifying and litigating new and important issues like this one for his clients. Call him for a free consultation today.